Chandelier prisms come in a variety of shapes, colors, and materials. Choosing chandelier prisms can be one of the most important and fun parts of restoring or creating a new chandelier. They come in a seemingly endless variety of shapes, colors, and materials and can be purchased online or in craft stores. When choosing chandelier prisms, it is important to consider the overall look you want to create in the room, as well as the existing decor. If you are trying to replace missing prisms, choosing replacement parts that are as similar as possible to the existing chandelier will help to maintain the original look. If making a new chandelier from scratch, you may want to consider the costs involved, as chandelier crystals can range from a few pennies to hundreds of dollars. The size, shape, and color of chandelier prisms can vary widely. If you need to match prisms to an existing chandelier, be sure that you choose the same size and shape for the replacements. Be sure to accurately measure the crystals you already have and identify the shapes. Some popular shapes include teardrop or pear, oval, and round. Although clear crystals are often used, you can achieve a unique effect by mixing in some colored pieces that coordinate with the room. Using more modern shapes in an antique chandelier can also create an eclectic look. Some crystals even come in animal shapes, which may work well in a child's room. The type of material used to make chandelier prisms may greatly affect the quality and price. Lead crystal is usually the highest quality and most expensive. It has the most sparkle because it reflects more light than glass or other materials and can also be polished to a higher shine. Most antique chandeliers are made of lead crystal, while newer ones may sometimes use glass or even plastic crystals. 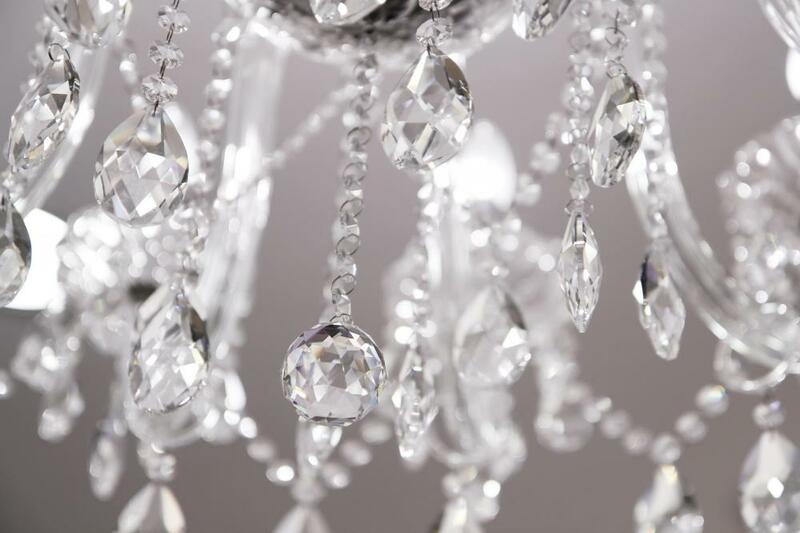 If you are replacing missing crystals on a chandelier, consider using the same material, or the difference may be noticeable. It's also a good idea to choose chandelier prisms that coordinate with the other materials used to make the fixture. Larger, bolder crystals will look the best with a metal chandelier, either gold, silver, or bronze. These types of chandeliers are often very ornate and will be the focal point of a room. Chandeliers that are lacquered or made of wood can have a more casual appearance and may look best with fewer, smaller crystals. In general, use prisms to create a chandelier that is unique and complements your home's existing decor. What are the Best Tips for Chandelier Cleaning? What is a Victorian Chandelier? How do I Choose the Best Chandelier Shades?